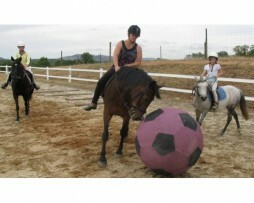 Looking for a safer environment for your horse and to prevent serious neck injury? You have come to the right place. Introducing the Idolo Tether Tie, this unique knotless tying system and the number one replacement to baler twine is a must have. 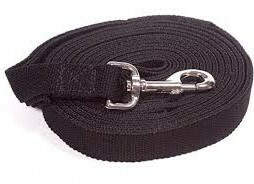 Designed by Roy French and made here in Axminster, UK this high grade industrial nylon tie uses pressure and release. 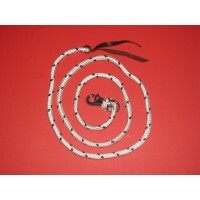 With a choice of two pressures and the ability to use with almost any rope, this lightweight, strong, durable and rustproof tool is a valuable addition to any tack box. 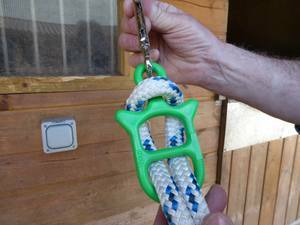 Using the Idolo Tether Tie could not be simpler, simply make a loop, thread through the tether tie as shown, loop over the top, clip to a tie ring or fixed point – that’s it! We challenge you to be able to tie and untie your horse using baler twine in under 10 seconds, the time it takes using the Idolo Tether Tie. Tying your horse to fixed point using baler twine can and has caused serious injury. If a disaster such as a barn fire happens or the horse needs to escape baler twine is certainly not the tool for the job, it’s use is dangerous for both horse and owner. 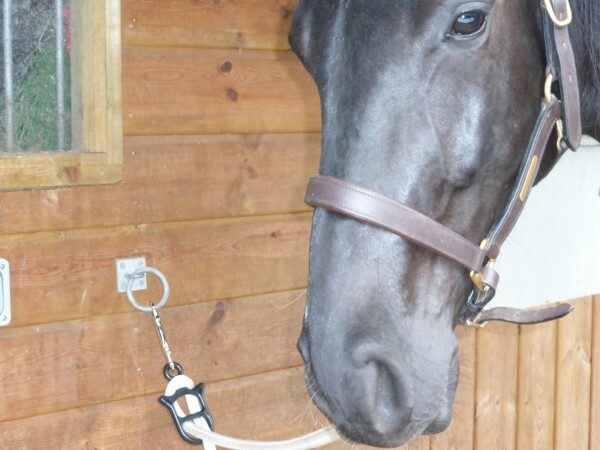 The Tether Tie, quicker, safer and user friendly allows your horse to be tied safely with the added peace of mind that if needed your horse can avoid unnecessary injury – all achieved under 10 seconds. This one of a kind system helps combat numerous safety issues in and around the yard. 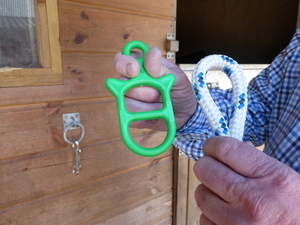 Tying your horse safely should be of the highest priority, you may ask why choose the Idolo Tether Tie? 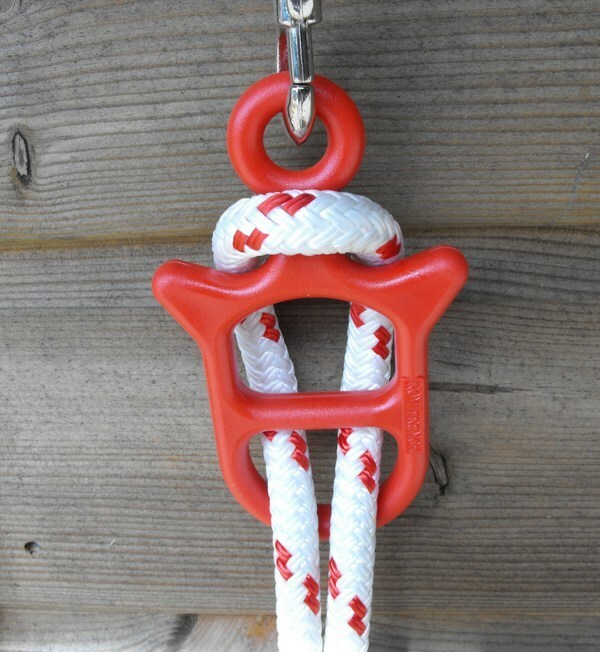 Unlike many of our competitors the Tether Tie does not break, unclip or separate – it’s pressure and release design ensures safety from the word go. 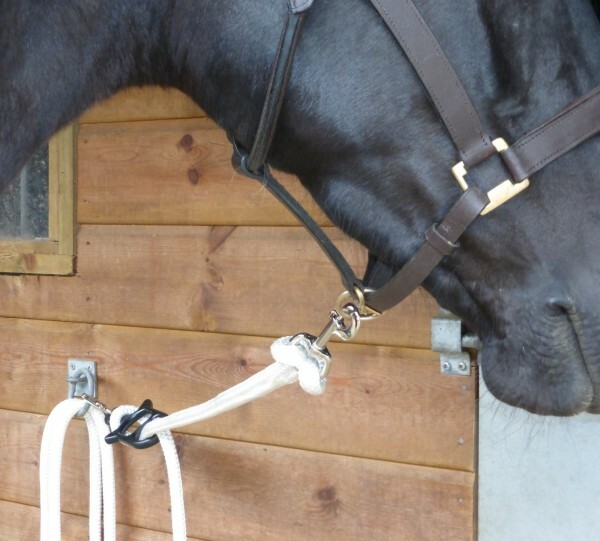 Your horse or pony will stay tied, if spooked he / she can move freely causing no distress, tension can easily be readjusted whilst having the extra peace of mind that if needed, your horse can quickly and easily remove itself from danger. Supplied with a 2 year guarantee, we believe in our product and we know it works – try it for yourself today and make your yard a safer place.